Transport for London drops its cycling mode share target: what does this mean? There’s been some concern that Transport for London (TfL) has dropped its target for cycling to have a 5% mode share in London by 2026. We have posted on the target question before, but it’s time for an update. 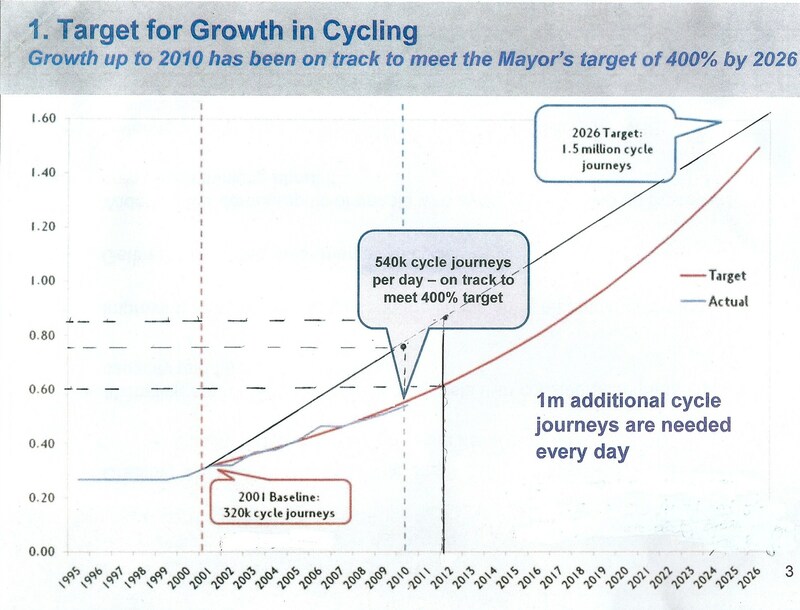 This was the graph shown in 2012 by TfL. Was it “on track” then, and is it “on track” now? This entry was posted in "Road Safety", Cycling, Law on March 25, 2015 by rdrf. 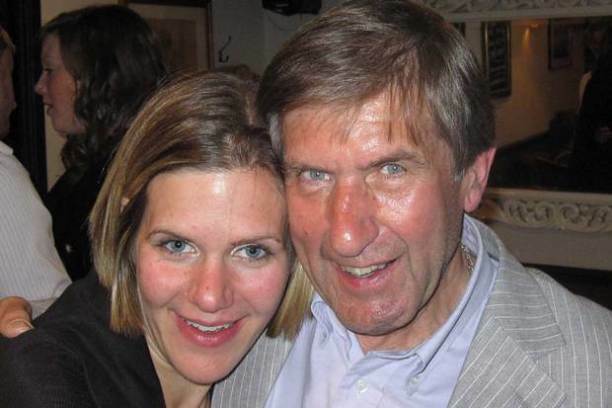 We have written about this case before in the context of law enforcement in London and our aims in the Traffic Justice Alliance. Unfortunately, we can’t report strides forward – yet – with the Traffic Justice Alliance, and have to report on developments in this case which should upset anybody who wants to see a civilised approach to danger on the roads. That may sound extreme, but recent developments reveal what we think is a national scandal and disgrace. This is not just a London matter, or just of concern to cyclists. It is about how crucial elements of the “road safety” culture we live under – including the beliefs and behaviour of those entrusted with law enforcement – are part of the problem of danger on the road. This entry was posted in "Road Safety", Cars, Cycle helmets, Cycling, Law on March 20, 2015 by rdrf. Are we done with dreadful drivel from the dire Dugher? We have already criticised Labour’s current shadow Secretary of State for Transport for his car-centrism. It seems that after a particularly lacklustre performance at the recent Times debate on provision for cycling in the next Parliament, some of his advisers had a few words with him, and he was rather upbeat in his recent talk to the Campaign for Better Transport (CBT). So would a Labour Government make things radically different and better for walking and cycling? We analyse his talk below. But first there have been some more bits of nonsense since we last posted on Dugher. Regrettably, it looks like he is still bent on an agenda which sees motorists as an oppressed minority to be pandered to with additional subsidy, soft touch and minimal law enforcement. So here’s what looks like the face of Labour’s transport shadow again. This entry was posted in Cars, Costs of motoring, Cycling, Law, Walking on March 16, 2015 by rdrf. 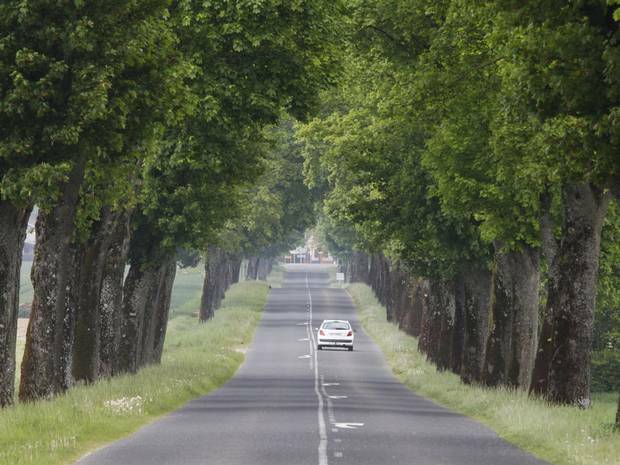 The French are to continue with their programme for felling trees to protect motorists who drive off the road. This story illuminates yet again how “road safety” (The Telegraph piece correctly uses inverted commas) ideology and practice inherently colludes with homicidal rule and law breaking by the motorised, rather than working to reduce danger at source. This entry was posted in "Road Safety", Cars, Road Danger Reduction on March 13, 2015 by rdrf. You might think that a grown human being shouldn’t have to do this – and you would be right, in my opinion. However, since there has been a lot of interest in this issue, we have a duty to follow through. (And anyway life is often about doing things you shouldn’t have to do). 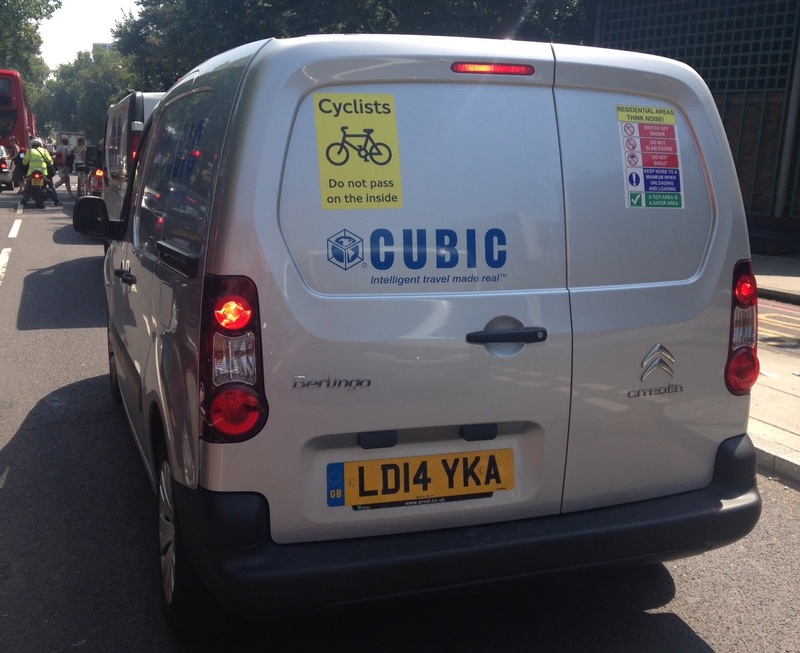 So here goes: We are showing how you can play a part in the removal of stickers that are on the wrong vehicles (or wrongly worded stickers on vehicles for which they were intended) belonging to members of Transport for London’s Fleet Operators Recognition Scheme (FORS). And it should indicate to TfL that we can cooperate with it. This entry was posted in Cycling on March 5, 2015 by rdrf. 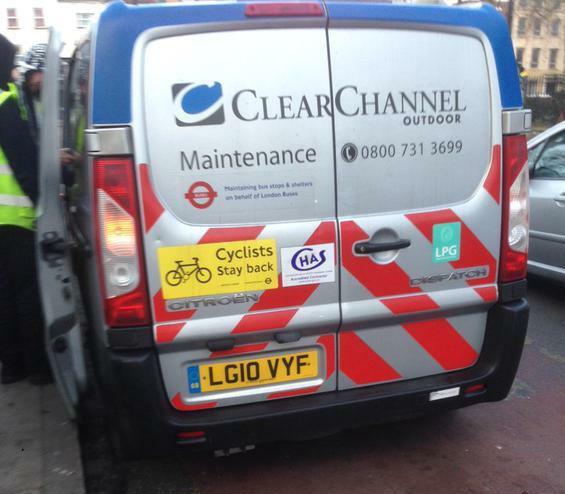 This entry was posted in "Road Safety", Cars, Costs of motoring, Cycling, HGVs, Law, Walking on March 2, 2015 by rdrf.